Are there cedar trees along your neighborhood? Do you notice when they grow in number or do you know at what time of the year they pollinate? If you guess that they pollinate during the winter months then you are right. Now, the real question is do you feel different during these times, like feeling fatigued without enough reason to be, or always having nasal blockage? If you have observed that this has been going on for years and it seems like there has been a pattern of when you feel these things then there is a great chance of you being allergic to something in your neighborhood. And that something could be Cedar trees. Cedar trees usually grow up to 30 to 40 mm and have green needlelike leaves. They bear their seeds on scales grouped together into cones and these trees pollinate during the winter months of December to March. A lot of people are reported to have allergic reactions against Cedar trees which manifest during the pollination period. These people have immune system that react strongly against presence of Cedar trees pollens. If you have one or more symptoms during the pollination time of Cedar trees, then maybe, you are allergic to its pollens. Presence of the allergen, pollens in this case, can make you sneeze repeatedly. You have runny nose which may also be itchy. 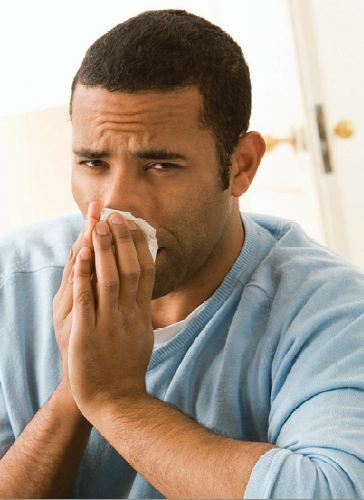 Due to swelling of membranes lining the nose, the nasal passages become obstructed, leading to nasal congestion. You have very itchy and teary eyes. You experience partial loss of sense of smell. You feel like your ears are plugged. You have headaches and facial discomfort. You feel tired even if you are not doing anything. It is difficult for you to breathe. You may suffer from wheezing (characterized by noisy breathing because of it being difficult) or shortness of breath. If not addressed, having these symptoms will greatly affect your daily occupations. These symptoms can tire you and make you feel fatigued all the time. It can also affect your sleep, your appetite and your mood as well. All of which can affect your performance in school or work. Furthermore, it will be for a long period of time as Cedar trees pollinate for at least 3 months. You probably won’t want to deal with any of the symptoms for that long. It is therefore important to prevent being exposed to pollens from Cedar trees as much as you can. You must always close your door and windows especially when the pollen count is high. Use HEPA filters in your air conditioning units. Before going to bed, wash your hair so that the pollens that attached to your hair when you were outside won’t be inhaled while you are sleeping. If you have pets, wash them often. If you are planning to go out during high pollen counts, you must wear a mask to cover your nose and mouth. If you have Cedar trees in your backyard, eliminate and replace them with another type of tree. Another thing you can do is to know how to treat and get rid of these symptoms effectively. You can get anti-allergy medications. If, however, your allergic reactions are too severe for over the counter medicines to handle, pre-treat your allergies to the doctor. It can be difficult to get rid of seasonal allergies like Cedar allergies but with proper prevention and treatment, you’ll still be able to enjoy the season without really getting sick.